The woes of being a Mac gamer have bit me in the behind once again. Whether its a terrible port (Splinter Cell: Conviction) or multi-player not working for some reason (Civ: V and…ahem…Splinter Cell: Conviction), sometimes it’s just frustrating. This week we can add another game to the list, as Hitbox Team’s cool, side-scrolling, janitor-ninja game, Dustforce, is having a heck of a time with its new OS X port. 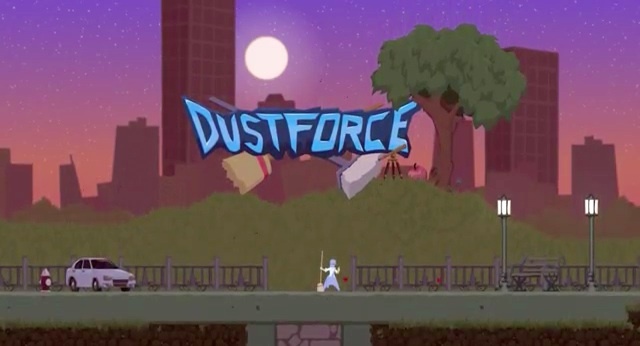 Dustforce – available on Steam, by the by – is having issues rendering the video for many of its new users, including yours truly. The game will launch fine and seem to run in all aspects but the rendering of the video. Players are greeted with a black screen, but the music and sound effects will start up as normal. You can even navigate the menu if you know what to push. While having a buggy port isn’t something unheard of, the unfortunate circumstance is that players who have bought the game are not getting much of a response in terms of letting them know when a patch might be available. The Mac port was released a little over a week ago, and although the devs have stated they are working on it, the populace is becoming restless, if a six page forum thread on the Steam boards regarding the issue is any indication. Another thread in the forum is set up to discuss patch issues, and the team there says that it has been working 15-20 hours days to fix everything that people are reporting. No one is lighting fire to torches and grabbing pitchforks, but they do want a timetable because as it stands, some have certainly paid for a game that doesn’t work. It’s all ninja-y and awesome. Let’s hope Hitbox can get everything up to shape soon because this game looks so cool. If you are a Mac user, you might want to check the aforementioned thread before purchasing, though. Fair warning. Update: It would happen that an update would be released today right when this post went up. If you are running OS X 10.6.8, then the game should be good to go. I, however, am running the latest update (10.7.3), and the game is still borked for me. So good news for most, but here’s hoping everything else gets ironed out soon.